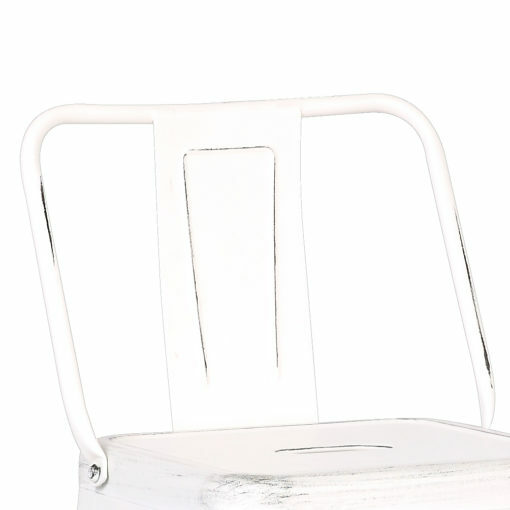 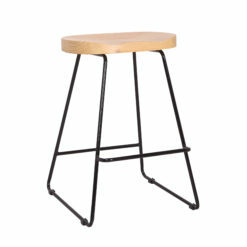 This barstool is crafted with industrial charm in mind. 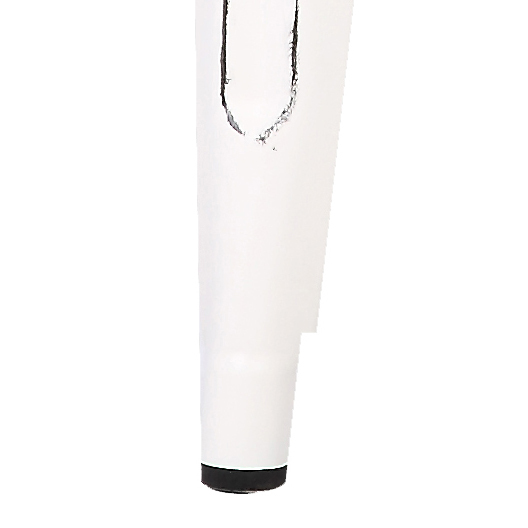 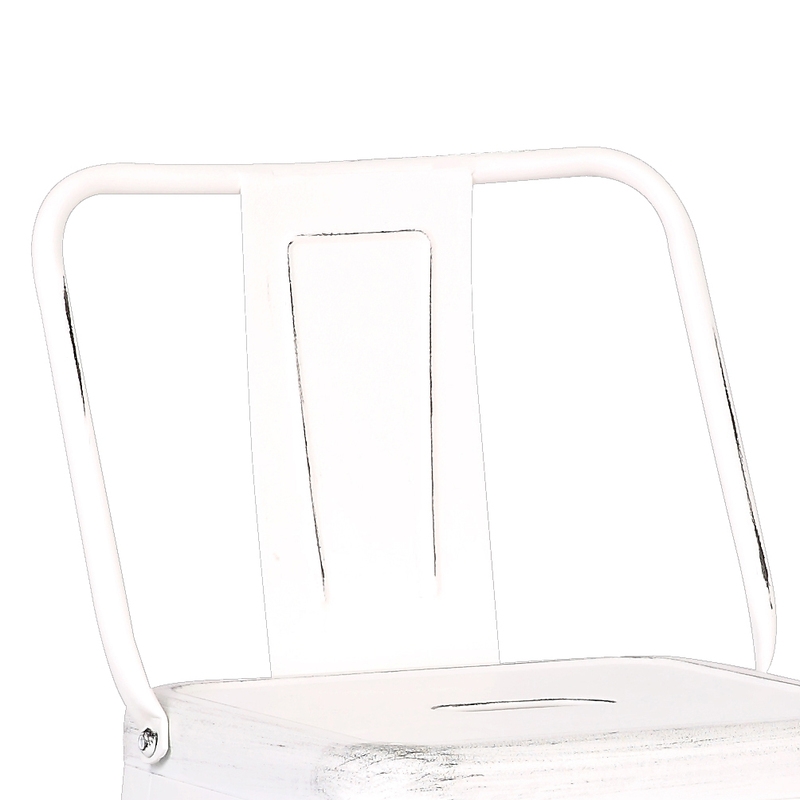 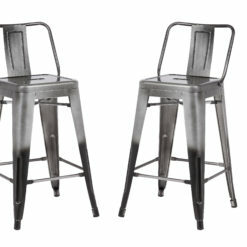 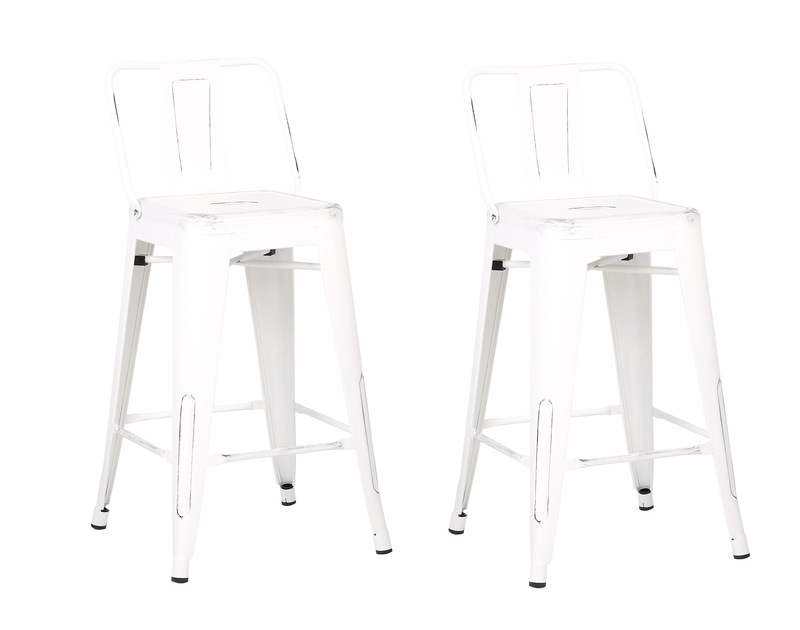 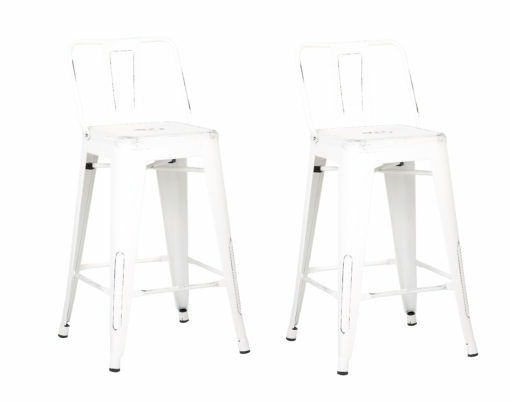 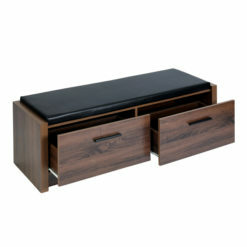 Strong, metal peg shaped legs make for a durable choice in bar seating. 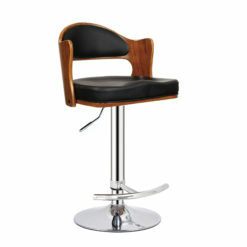 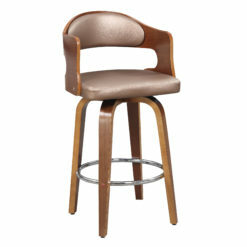 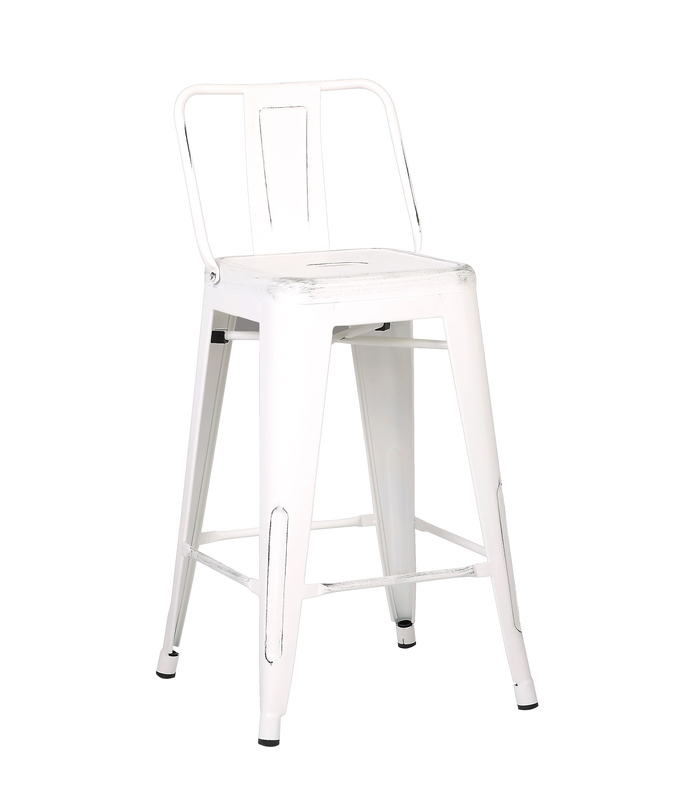 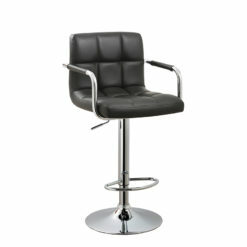 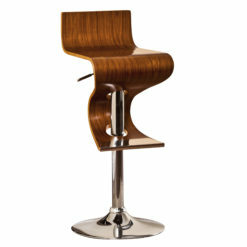 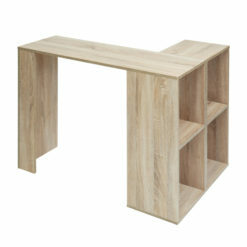 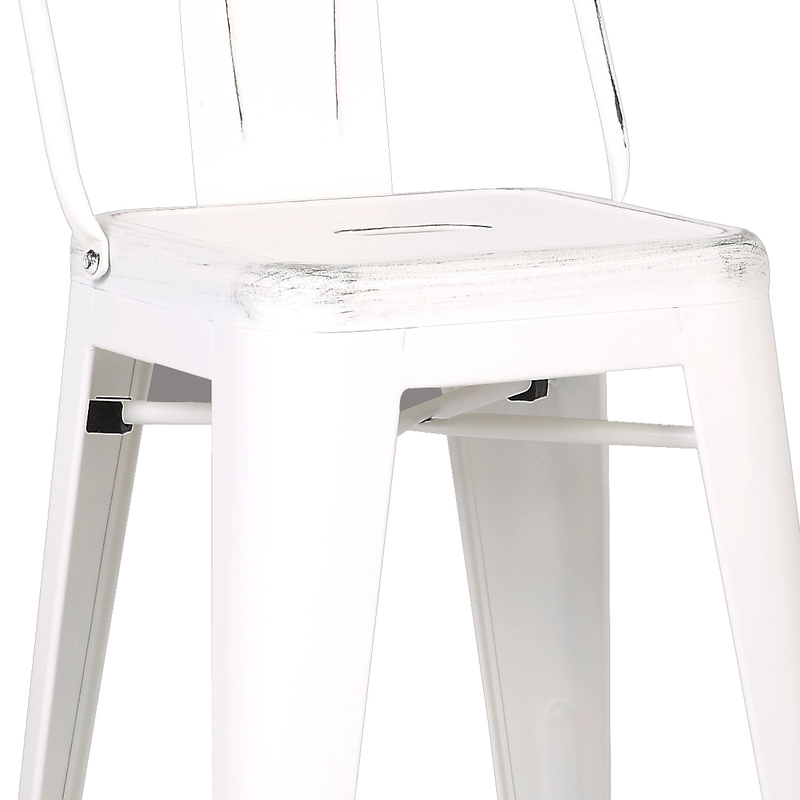 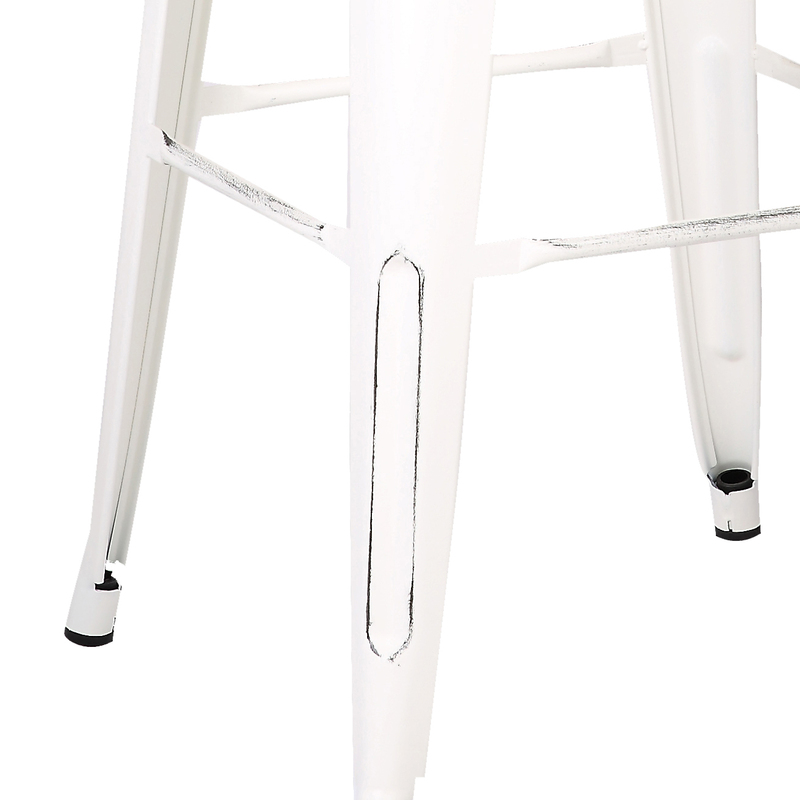 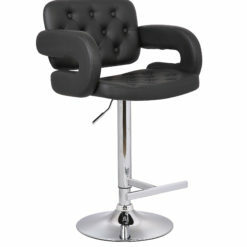 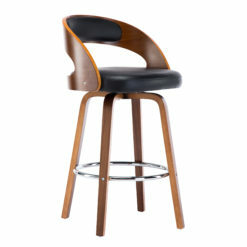 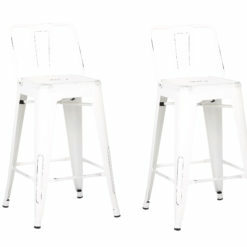 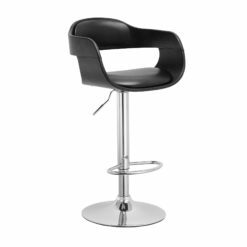 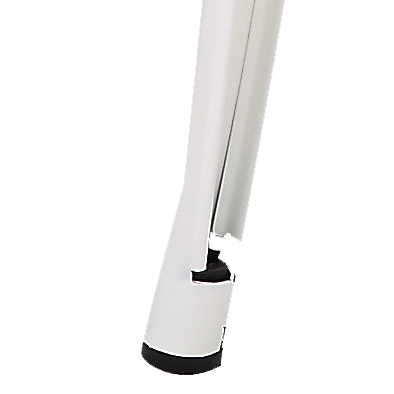 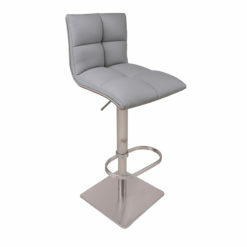 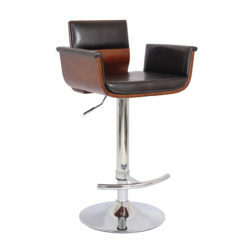 Sleek and simple, this barstool will be a great addition to any home, kitchen or bar. 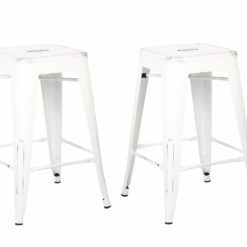 2 per box. 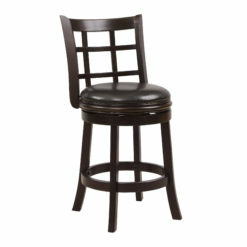 I really love the look of the distressed white barstool in my kitchen. 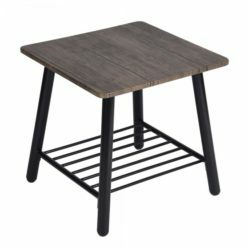 It has a vintage feel to it and is easy on the eyes. 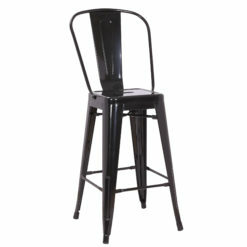 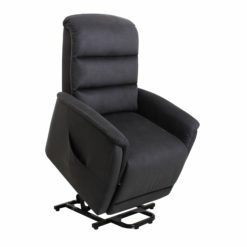 It is a well made chair that is strong and sturdy too!